MetaBank® today announced the launch of its faster payments platform, which will enable its partners to disburse funds in near real-time. 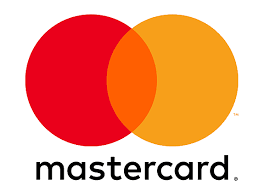 One of the first new offerings on this platform is Mastercard Send™, an industry-leading push payments service that powers a faster, better, smarter way to send money domestically and cross border. As a leading issuer of payments services, this rounds out MetaBank’s suite of solutions that also includes ACH origination, wire transfers and more. MetaBank is a wholly-owned subsidiary of Meta Financial Group, Inc.® (NASDAQ:CASH) (“Meta”) and a leader in delivering innovative payment, financing solutions and banking to partners throughout the country. Meta’s extensive expertise as a leading issuer of payments services coupled with card-based faster payments can provide new opportunities in addition to prepaid card and ACH services. According to research by Mastercard, card-based, faster payments solutions provide a superior customer experience — ultimately strengthening customer engagement and loyalty.